This has been a market that favors high-growth stocks and not value plays. Obviously, the rising tide of the nine-year-plus bull market has lifted value boats as well. But clearly, the market of late has prioritized revenue growth over profit growth, to the point that many longtime value investors are in something close to despair. At some point, it would seem, valuations may come back to Earth. But many investors have been making such a case going back to at least 2011 — and yet, the large-cap tech market (at least measured by the Nasdaq-100), is up 14% this year on top of a 33% gain in 2017. How an investor reacts to that trend likely depends on personal taste. To some investors, the enormous gains and huge valuations across the board are simply a bubble — or something close — that must come to an end. To others, they’re logical from a few standpoints. After all, as the old adage goes, “don’t fight the tape,” investor money is going into tech. It’s wise to follow, at least in the short- to mid-term. And even from a longer-term standpoint, the preference for high-growth stocks in tech makes some sense. That’s where the world is headed, through growing trends like “Internet of Things” or Big Data. Old-line companies will have their place, but the big money will be made in tech. For investors who still see more upside in the rally, here are 18 high-growth stocks to consider. Not all necessarily look like buys, particularly to value investors. But many, if not most, of these stocks have looked expensive before — and continued rallying anyway. If growth cures all other potential problems, these 18 stocks should outperform the market. Admittedly, the problem with Facebook (NASDAQ:FB) is that investors don’t believe it is a high-growth stock anymore. Facebook stock plunged after Q2 earnings — setting a record for the most market value lost in a day, as I pointed out this week — because management commentary projecting rising costs and potentially slower user growth. And I do think investors might want to let FB stock settle down a bit after the big plunge and some choppy trading of late. That said, there is a strong possibility that the market overreacted to Q2 commentary, as Luke Lango argued recently. This remains a growth stock, with the Street anticipating a 25% increase in revenue next year. Instagram and WhatsApp have only scratched their potential. FB stock is cheap as well, trading at less than 20x 2019 EPS estimates backing out its cash pile. 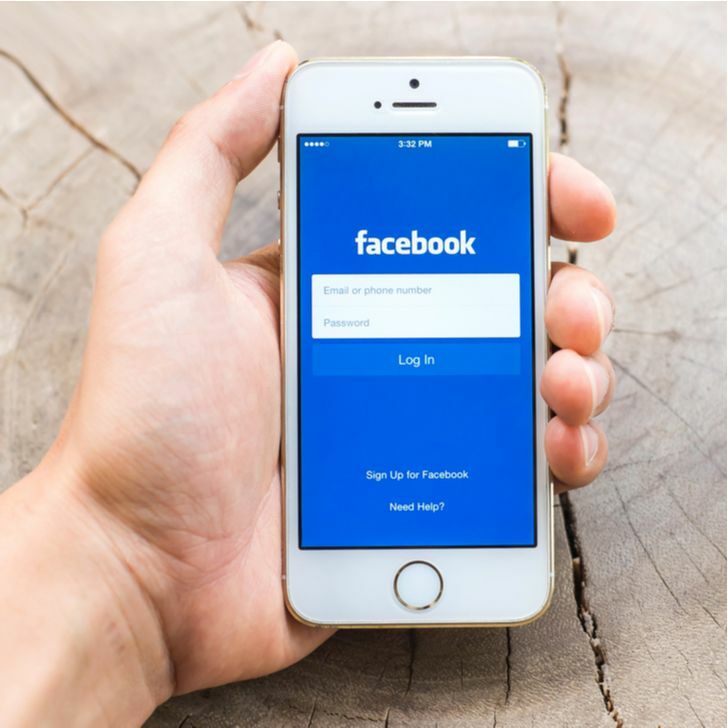 Facebook stock feels a bit different after the post-Q2 plunge, with a seemingly perfect bull run from $19 to $218 having come to an end. But that doesn’t necessarily mean that Facebook’s growth is at an end — or that the stock can’t pick itself back up in the second half of the year. Arlo Technologies Inc (NYSE:ARLO) has seen some choppy trading since a spinoff from Netgear (NASDAQ:NTGR) took place at the beginning of the month. But around $20, ARLO looks attractive. The IP camera company has posted exceptional growth, with revenue doubling in each of the last two years. Sales rose another 44% in the first half of 2018. 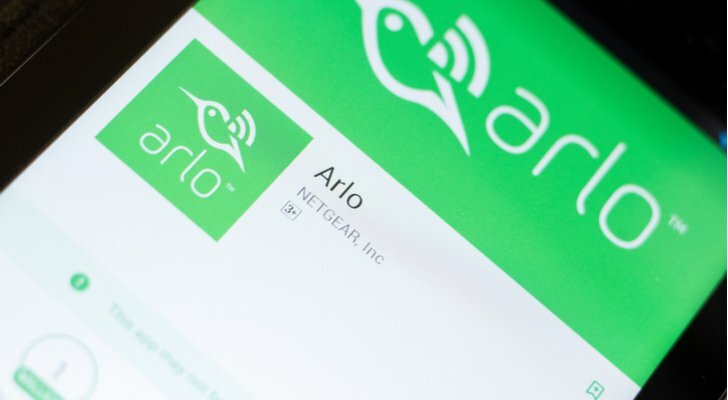 Arlo has taken an impressive share (40% as of the first quarter) and so far is outcompeting rivals like Logitech (NASDAQ:LOGI) and Alphabet (NASDAQ:GOOGL,GOOG) unit Nest. Valuation is a bit stretched, with ARLO trading at over 3x revenue. The fear here is that the stock will follow other hardware plays like GoPro (NASDAQ:GPRO) and Fitbit (NYSE:FIT), both of whom saw growth turn negative after initial bursts. But Arlo is expanding beyond IP cameras into areas like security, and subscription plans provide a source of high-margin recurring revenue. There’s a long runway for growth here both from increased adoption of IP cameras and increased revenue per user. Netgear still owns 84% of the company, and will distribute the rest to shareholders in 2019, meaning investors can get exposure to ARLO through NTGR, along with a solid cash hoard and a solid WiFi router business. More growth-focused investors, however, might want to make a straight bet on Arlo itself. 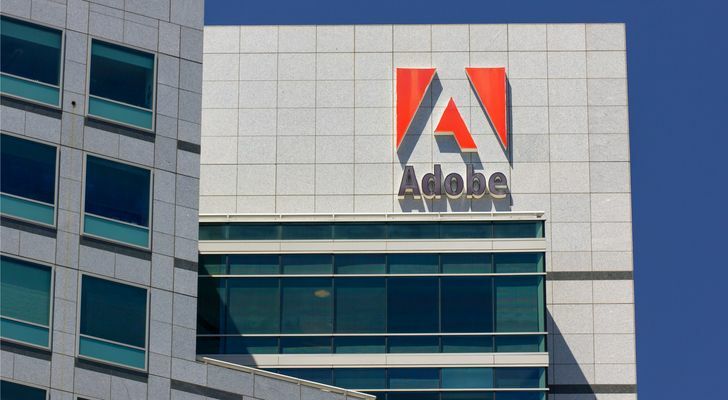 From here, Adobe Systems (NASDAQ:ADBE) is the epitome of the “growth versus valuation” argument in this market. There’s no question that Adobe’s business is humming on all cylinders. Revenue rose 24% in Q2, with non-GAAP EPS rising 63%. That’s not a one-quarter effect (though tax reform did help on the bottom line); growth has been impressive for years now. The problem is that ADBE stock has been equally impressive, rising 150% just since the beginning of 2017. And at a whopping 15x revenue and 33x forward earnings, quite a bit of growth already is priced in. The gains also have quieted the takeover speculation that long has surrounded ADBE; Microsoft (NASDAQ:MSFT) still makes sense, but may not be willing to pay a premium to the current multiples. That said, I’m not ready to count out ADBE just yet. After a brief selloff in late July, I called ADBE one of the 5 best stocks to buy for August — and even with some gains since, I still believe that’s the case. 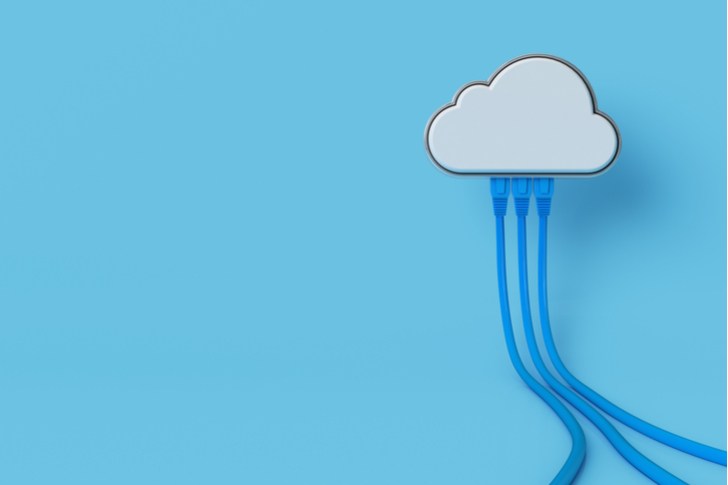 ADBE isn’t cheap — but it shouldn’t be. And with revenue growing 20%+ a year, even a 33x earnings multiple can shrink very quickly. Datawatch (NASDAQ:DWCH), Alteryx (NYSE:AYX) and Tableau Software (NYSE:DATA) all represent plays on the Big Data trend, albeit from different angles, and with different financial profiles. Datawatch and Alteryx target the “data preparation” space, while Tableau is more of a “data visualization” company, though its recently released Tableau Prep has broadened its reach. 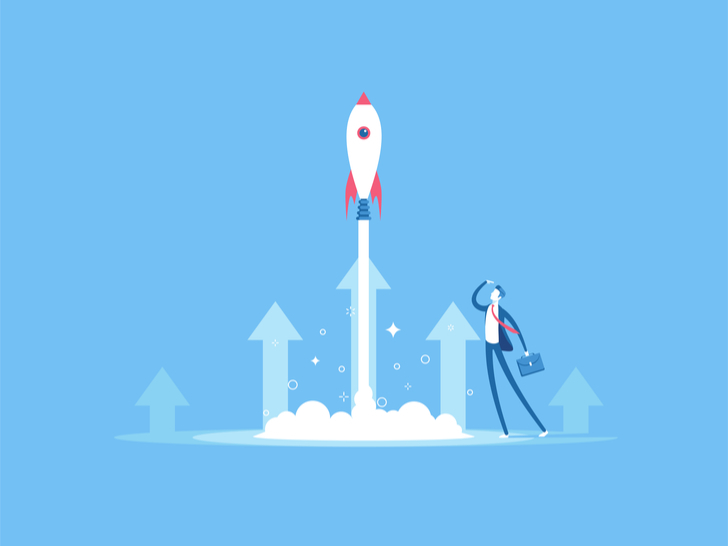 All three stocks are showing impressive growth — but are different growth stocks in their own ways. DWCH is a small-cap ($150 million) with a still-reasonable 3x revenue multiple pro forma for its acquisition of Angoss Software earlier this year. Despite its smaller size, it’s also the oldest of the three, having gone public all the way back in 1992. And a huge run to $35 in late 2013, which quickly fizzled, still colors investor attitudes toward the stock. AYX is the ‘hot’ stock of the three, having nearly quadrupled from its March 2017 IPO price, and trading at nearly 18x revenue. And DATA is the more mature play; even after a big rally this year (+49% YTD), it still sits modestly below 2015 highs. The group all provides exposure to a significant growth trend. But each stock provides a different fundamental way to play that trend. Roku (NASDAQ:ROKU) is a classic story stock. And after a strong Q2 report, that story is starting to take shape. The company’s namesake streaming device is only the beginning of its business model. Viewership and revenue from The Roku Channel is growing quickly. Roku is moving into home entertainment with the release of speakers — and more audio equipment is likely to follow. Unsurprisingly, valuation is rather high at this point, with the stock at 8x revenue — a big multiple for a hardware play. A lack of exposure to Netflix (NASDAQ:NFLX) and Alphabet’s YouTube represents a potential concern. 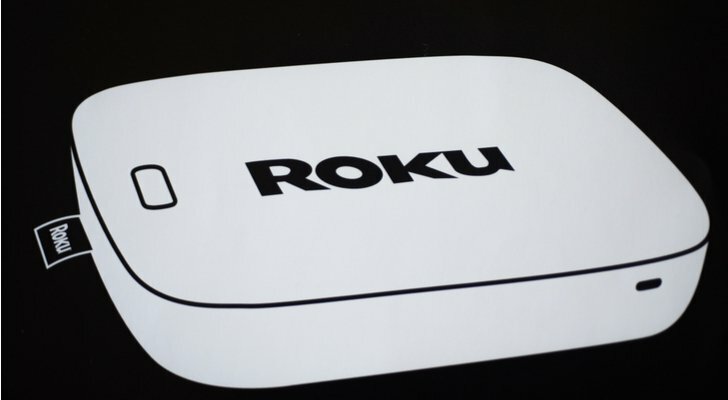 But ROKU increasingly looks like a key player in the streaming media revolution – and a market cap under $5 billion suggests more upside as the company learns how to monetize its position. National Beverage (NASDAQ:FIZZ) is one of the fastest-growing companies in the consumer products space. The company’s LaCroix sparkling water continues to post impressive growth, with volume rising 39% in fiscal 2018. FIZZ stock has responded, rising 350% over the past three years. But the rally has stalled out a bit of late. Shorts have taken aim at FIZZ, arguing that competition will dent growth. PepsiCo (NASDAQ:PEP) has rolled out Bubly in a clear attempt to take share. Whole Foods, now owned by Amazon.com (NASDAQ:AMZN), has launched 365 brand sparkling water as well. It’s a risk, admittedly. But the category as a whole is growing nicely, and LaCroix has kept its growth rate intact the last few years despite efforts from other rivals, including privately held Polar and Coca-Cola (NYSE:KO) through its Dasani brand. Valuation is high — but at a likely mid-20s forward P/E multiple excluding cash, not prohibitive. FIZZ very well could be a takeover target, given its majority ownership by 81-year-old chairman and CEO Nick Caporella; Keurig Dr Pepper (NYSE:KDP) would be a logical suitor. With the stock still off its 2017 highs, there could be a nice run ahead for FIZZ. Medtech play Abiomed (NASDAQ:ABMD) isn’t cheap, nor is it even close. There’s good reason for that. 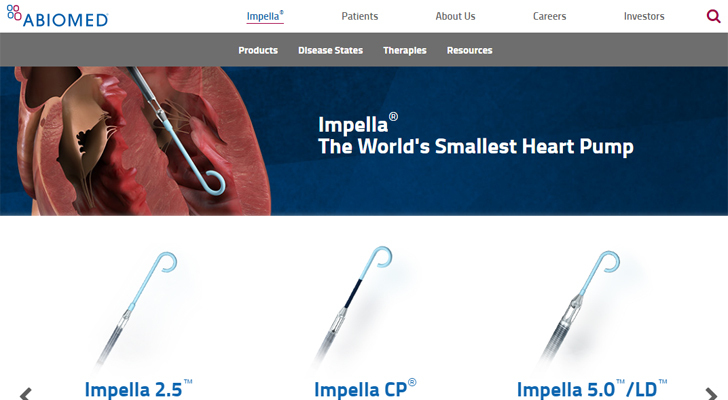 The maker of heart pumps is growing nicely, with revenue rising 33% in fiscal 2018 and another 36% in its most recent quarter. Competition is way behind, and entrance into international markets, including India, provides a long-term growth driver. Valuation is a question mark … but a selloff after seemingly strong Q1 earnings has brought ABMD down nearly 18% from June highs. And with strong growth ahead and a potential takeout story (Medtronic (NYSE:MDT) could be interested at some point), ABMD’s multiples can stay quite high for some time to come. A better-known medtech growth story is Intuitive Surgical (NASDAQ:ISRG). And ISRG simply continues to move higher. The stock is up 45% this year, 200% over the past three years, and 312% over the past five. At this point, investors are seriously paying up: this is a $60 billion market cap company with a 43x earnings multiple, a rare combination. But what really stops Intuitive Surgical’s growth? It’s far and away the leader in robotic surgery. The core da Vinci system continues to be improved – and its applications will expand over time. Meanwhile, ISRG continues to beat expectations pretty much every quarter; it hasn’t missed consensus since Q1 2015. As long as the story stays intact and that streak continues, ISRG should continue its winning ways. Baozun (NASDAQ:BZUN) is one of the smaller Chinese internet stocks — but it’s gotten caught in the same downdraft. A bear market in China, a weakening yuan, and trade war concerns have pressured the group, including BZUN, which is down 26% from June highs. The decline looks like a buying opportunity, albeit one that might require some caution. BZUN fell another 6% after Q2 earnings on Tuesday, despite 30%+ revenue growth and a 55% increase in operating income. The company works with businesses to provide e-commerce services, giving it more direct exposure to potentially struggling customers, and at 7x revenue and 28x 2019 EPS estimates, the stock still isn’t exactly cheap. Still, there’s a huge amount of growth potential here and a much cheaper price. Investors who believe in the China story long-term can get exposure to that country at an attractive price, and BZUN represents one way to do it. Another option is JD.com (NASDAQ:JD). Unlike Baozun and Alibaba (NYSE:BABA), JD.com is a direct e-commerce operator and the ‘true’ Amazon of China. JD, too, has pulled back, falling 33% from late January highs. And here, too, patience might be advised. Support for the stock had held at $35 for some time — but it broke in the past couple of sessions, and below $34 JD now trades at a 16-month low. From a long-term perspective, however, I still think JD is the best play on Chinese e-commerce growth. Revenue is expected to grow about 30% this year and 25% next year. Investments in growth are pressuring margins … but the stock still trades at a reasonable 31x forward earnings. 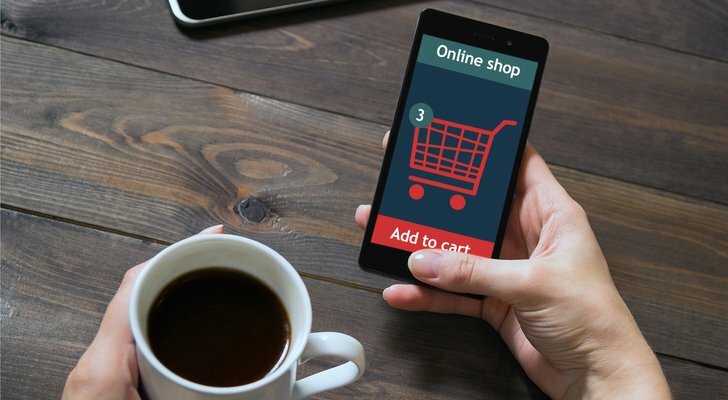 JD is even moving toward offline sales through a partnership with Walmart (NYSE:WMT), and a deal with Alphabet provides another potential catalyst. For investors who still believe in the long-term Chinese growth story, despite recent jitters, the selloff in JD offers a real opportunity. Growth stocks often see a lot of volatility, and that’s been the case for Shopify (NYSE:SHOP) of late as well. SHOP has made two round-trips from about $140 to $175 just in the past three months. Back toward the low end of that range, SHOP looks attractive again. A short thesis from Citron Research appears to have been rebutted by strong results over the past few quarters. The company’s reach in small business only grows, and there’s plenty of potential for Shopify to target larger customers (and overseas sellers as well). SHOP remains hugely expensive, at 244x forward EPS estimates, even with a surprise adjusted profit in its most recent Q2. A 15x revenue multiple is one of the highest in the market — although, it’s below its small-business colleague Square (NYSE:SQ). Investors have to trust the story here and would be forgiven for hoping for another, larger pullback. But at the least, SHOP would seem to have a path toward at least challenging recent highs, particularly with a strong Q3 report in late October. That alone suggests 20% upside. 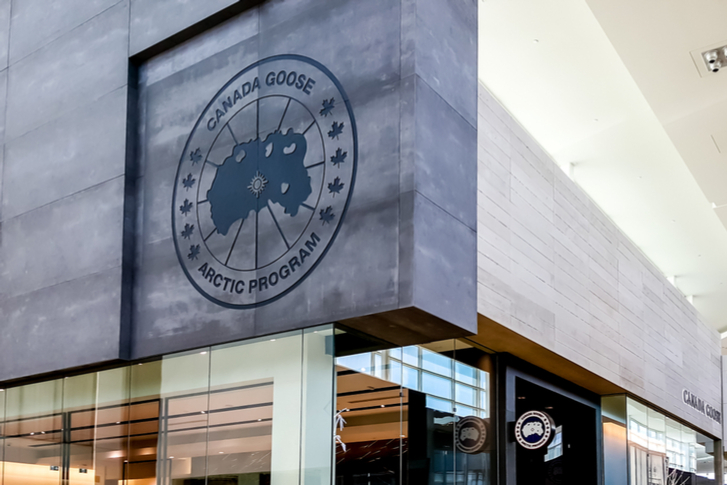 There’s no arguing about the current growth at apparel maker Canada Goose Holdings (NYSE:GOOS). The company grew revenue 46% in its fiscal 2018 (ending March) and another 58% in fiscal Q1. The key question is how long that growth might last. Skeptics see a company that could be a fad; bulls see a cold-weather version of Lululemon Athletica (NASDAQ:LULU). Right now, the skeptics are winning. GOOS rose 33% after a surprise profit in Q4 but steadily has given those gains back. The stock now is down about 25% from June highs — but it’s hardly cheap. GOOS trades at about 12x sales and 80x FY20 EPS estimates. There’s reason to see those multiples being supported. Growth already is impressive — and the company is moving into the Chinese market, which represents a potentially huge opportunity. GOOS could be a takeover target at some point down the line; VF Corporation (NYSE:VFC) would make sense after it spins off its denim business. If GOOS is a fad, the recent decline could be the harbinger of bad news to come. If not, the selloff makes GOOS an intriguing long-term growth play. iRobot (NASDAQ:IRBT) seems to have finally put it together. As recently as early 2016, IRBT stock still was down over the past decade. Growth was steady … but not enough to entice investors. Since then, however, IRBT has nearly tripled, with a nice rally of late since a big Q2 earnings beat last month. There could be more upside ahead. 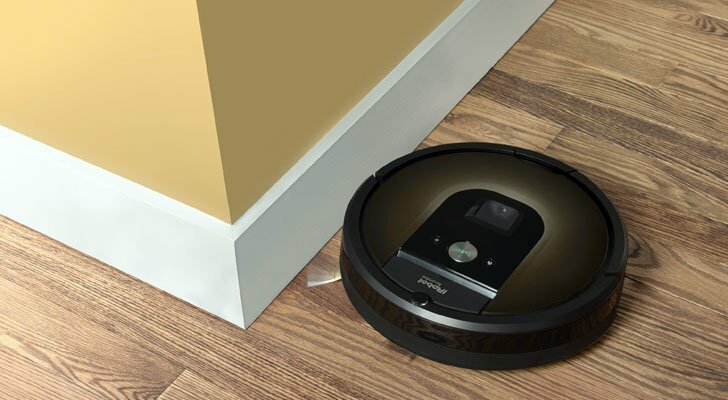 Luke Lango made the case for IRBT after earnings, pointing to the company’s Braava mopping robot and Mirra pool cleaner as long-term drivers. Gross margins are expanding, and profits are growing nicely. Given that Lango correctly called a post-Q4 selloff a buying opportunity, his take on the stock should get serious consideration. At 28x EPS, IRBT doesn’t necessarily seem cheap. But the possibility that robotics will become an increasingly big part of everyday life seems highly likely. And a $2.4 billion market cap doesn’t necessarily seem to incorporate all of that long-term opportunity. Aesthetics-based play Cutera (NASDAQ:CUTR) has pulled back of late — and with good reason. The problem isn’t necessarily Cutera’s revenue growth, which at 16%-plus in the first half of the year (on top of 26% a year ago) remains reasonably impressive. Rather, the market simply got ahead of the story here in sending the stock above $55. The driver of the rally likely was takeover speculation. Not that long ago, there were four energy-based aesthetics stocks in the market. But Syneron Medical went private; Cynosure was acquired by Hologic (NASDAQ:HOLX); and Allergan (NYSE:AGN) added ZELTIQ Aesthetics to its cosmetic treatment business headlined by Botox. Demand from baby boomers for aesthetic treatments, and steadily improving technology made the category an attractive area for larger companies looking to buy growth. The market seemed to decide that Cutera was next – and bid the stock up accordingly. 40% below 52-week highs, however, the takeover premium seems much smaller. A 32x forward EPS multiple still isn’t cheap – but Cutera has growth opportunities as it continues to drive sales of its truSculpt fat reduction treatment. Gross margin weakness is the biggest concern, and led to reduced margin and profit guidance after Q2 reports. But management expects improvement in the second half of the year – which should continue into 2019. Given that the stock has fallen 30% and 16% after its last two earnings reports, investors obviously need to be careful here. But Cutera still has a big opportunity in front of it — and at a cheaper price, it could perhaps again be a takeover target for larger companies. The software sector has been torrid for years now and valuations are starting to look stretched. Both descriptions apply quite well to healthcare software developer Veeva Systems (NYSE:VEEV). VEEV has quadrupled from early 2016 lows and now trades at a healthy 53x forward EPS and 15x sales. But there’s reason for optimism here. Veeva’s Vault software is dominating in the biotech and pharmaceutical spaces, solving a series of problems surrounding regulatory issues and clinical trial management. It’s now moving into other verticals, including chemicals and consumer goods, where regulatory scrutiny is high and quality is paramount. It’s been quite a reversal for a company whose market looked tapped out just a few years ago (indeed, I shorted VEEV, successfully, back in 2015). Right now, there’s no sign that reversal will end or that Veeva’s growth will stall out. If that’s the case, VEEV has more upside, even from current all-time highs. For investors who believe that the optimism toward high-growth stocks has gone too far, Workday (NASDAQ:WDAY) probably is ‘Exhibit A’. WDAY now has a market cap nearing $30 billion — on some $2.2 billion in trailing-twelve-month revenue. But Workday has everything a growth investor could want. Revenue is increasing at a fast rate, with a 29% increase in Q1 on top of a 36% jump last year. 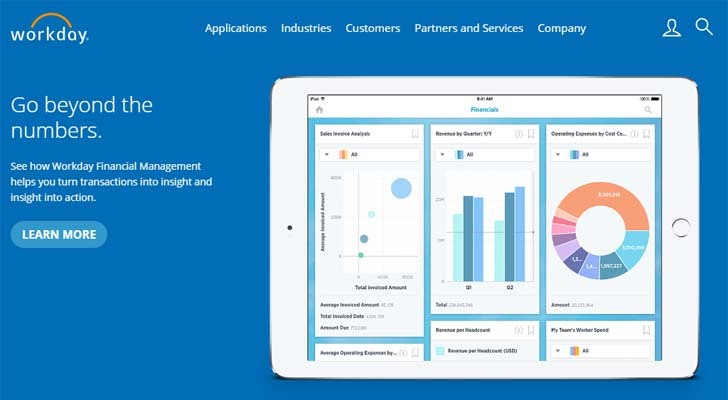 It’s expanding its portfolio beyond the core HCM (human capital management) offering with the acquisition of Adaptive Insights, a provider of cloud-based financial modeling tools. WDAY stock has been a bit choppy over the past few months, pulling back after Q1 results came with a modestly disappointing revenue outlook. And investors here really are paying up for growth. But with a new market to tackle, and growth still impressive, Workday has a real chance to support what looks like an absurdly high valuation. As of this writing, Vince Martin is long shares of NETGEAR. He has no positions in any other securities mentioned. Article printed from InvestorPlace Media, https://investorplace.com/2018/08/18-high-growth-stocks-more-upside-ahead/.